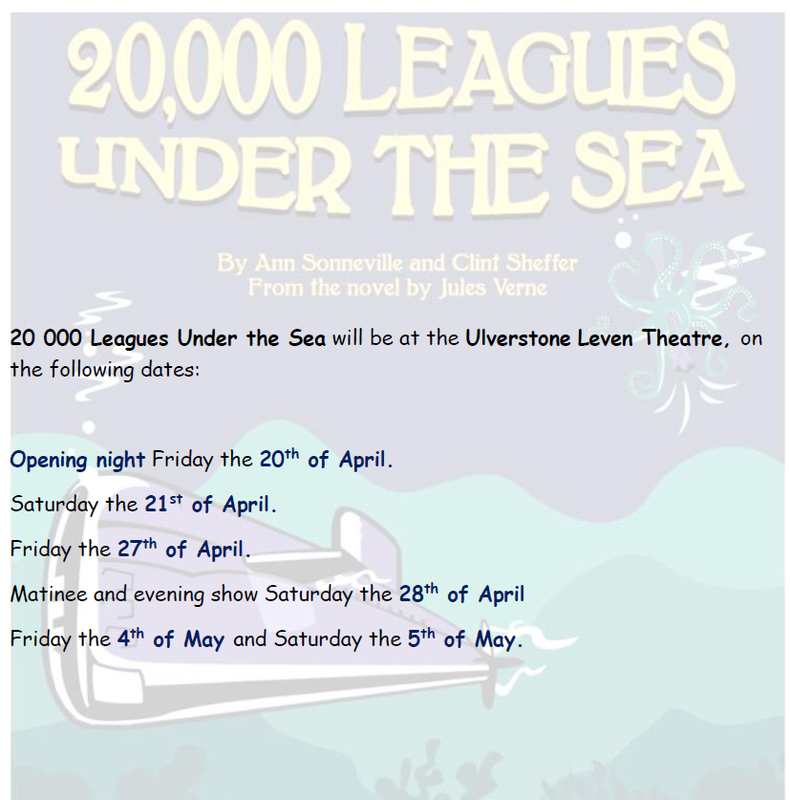 Ulverstone Repertory Theatre Society presents 20,000 Leagues Under The Sea – By Ann Sonneville and Clint Sheffer from the novel by Jules Verne. Ulverstone Leven Theatre on the following dates Opening night Friday 20th April, Evening shows on Saturday 21st April, Friday 27th April, Friday 4th May and Saturday 5th May, and Matinee and evening show on Saturday 28th April. Tickets will be available at the Ulverstone Visitor Information Centre by the end of February.